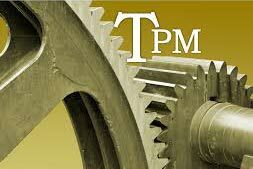 In simple terms Total Productive Maintenance (TPM) is a protection program which includes a distinct concept for maintaining plants and equipment. We offer professional Total Productive Maintenance Service in unity to the requirement of the organization. By availing the Total Productive Maintenance Program you can remarkably increase production, avoid accidents at the manufacturing unit and offer a healthy working atmosphere for the staff.